The only consistent thing in former UFC middleweight Ron Stallings’ career over the past couple years has been the inconsistency. Since a win over Rashaun Spencer at Titan FC 40 in August of 2016, Stallings has been on the sideline as fight after fight has fallen through. “You soldier through it,” Stallings told MMAWeekly.com. “I’ve been soldiering through it but I’m still very hungry, even though so many fights fall through. One reason why Stallings is frustrated by not having opportunities to fight is because in order to get back to where he once was, he has to rack up wins, and you can’t do that sitting on the sidelines. On Friday in Philadelphia, Stallings (14-8) will look to get back on track when he takes on Nah-shon Burrell (15-10) in a 185-pound main card bout. “I’ve got a good, quality, tough opponent,” Stallings said of Burrell. “I get the guys that are killers and are tough. I’m looking forward to this match-up and show my stuff and solidify that I belong at the top echelon of competition. 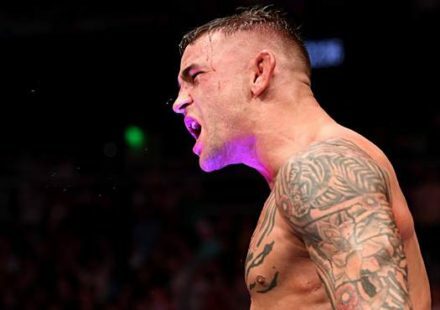 Having had so many issues getting fights of late, it is understandable that Stallings would be a bit gun-shy about discussing his future, but one thing is for certain: he wants to return to the UFC and hopes to start that journey back on August 17.